The RIAS was founded in 1916 as the professional body for all chartered architects in Scotland. It is considered to be the foremost professional institute in the country dealing with architecture and the built environment. 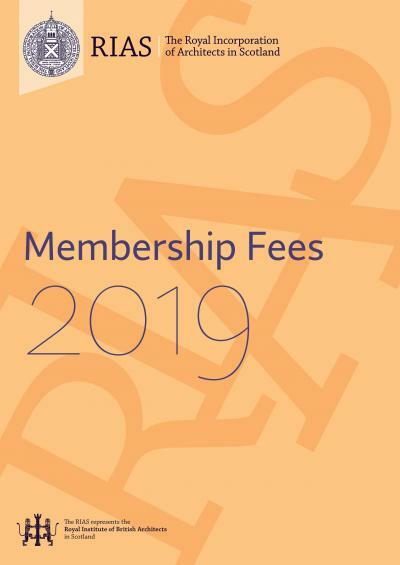 The Incorporation works closely with The Royal Institute of British Architects (RIBA) and members living and/or working in Scotland are encouraged to take up joint membership - allowing them to enjoy the benefits of membership of both organisations at no extra cost. Both organisations speak with a united voice on behalf of architects and architecture within Scotland and, where appropriate, the UK and overseas. The RIAS promotes the development of Scottish architecture to the public, offers architects’ clients safeguards when dealing with our members and regulates the profession and provides services to members. Our members receive a wide variety of different services and support from the Incorporation. The demands of architectural practise are increasingly complex and our advisory, legal, technical, continuing professional development and other specialist services are designed to ensure our members are well-equipped to deliver an excellent service to the public. Chartered architects are the lifeblood of the RIAS. 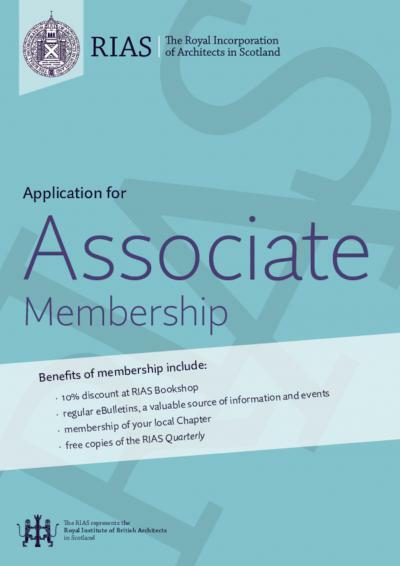 The RIAS exists to act in the interest of our chartered members and through its Council and committees provides many forums for discussion, debate, participation and involvement. The RIAS offers a wide range of benefits, services and products for architects, students of architecture, construction industry professionals, architectural clients and all those with an interest in the built environment and the design process. An accreditation scheme in Sustainable Architecture is available to RIAS members and a scheme in Conservation Architecture is available to both RIAS and non-RIAS members. This scheme approves Certifiers of Design, recognised by the Scottish Government and entitled to certify that designs comply with Section 6 – Energy of the Scottish Technical Standards within a quality assurance environment. All construction professionals are entitled to apply to the Scheme with all ARB registered Architects, Chartered Technologists and CIBSE Corporate Members and Low Carbon Consultants pre-qualifying. RIAS members receive discounts for all RIAS events and other events where the Incorporation is a partner, co-promoter or sponsor. A list of events is available on the website or by contacting the RIAS Communications & Events team. This is the largest annual conference of its kind in the UK, an opportunity to attend presentations from and interact with internationally renowned architects at Convention events. The Convention is held in May each year and each Convention explores a different theme. The location of the event alternates between the six RIAS Chapter Areas. Members of the RIAS are eligible to enter various awards such as the RIAS Andrew Doolan Best Building in Scotland Award and the RIAS Awards. The RIAS Lifetime Achievement Award is presented annually to an architect who is recognised as pre-eminent by fellow professionals. The RIAS organises, sponsors and endorses CPD events on topics of national interest (regulatory and statutory). RIAS Members are entitled to reduced rates for such events. Each of the six RIAS Chapters organises its own series of CPD and other events for its local members. Members are entitled to use the suffix 'RIAS' and Fellows are entitled to use 'FRIAS'. 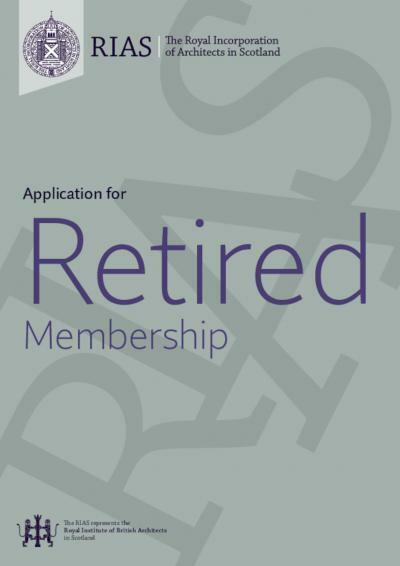 Members are also entitled to use the RIAS crest on letterheads, websites and their own promotional materials. (However, use of the crest by third party organisations, i.e. in directories or published advertising is not permitted). The RIAS Site Signboard is one of the simplest, cheapest and most effective means of advertising the work of your practice. The crest can only be used on the approved signboard design from our list of suppliers. Signboards are only available where at least one Principal or Director is a member of the RIAS. RIAS Events circulates bi-weekly email bulletins to all members with information on CPD, technical issues and upcoming events. The RIAS publishes RIAS Quarterly which is circulated to all RIAS members. This printed magazine profiles the best of Scottish architecture and includes a rich mix of professional and technical news, interviews and features, with contributions from RIAS members and international architects. It includes sections devoted to practice information, students and Chapter news. Our specialist architecture and design bookshop is located within the RIAS Headquarters at 15 Rutland Square, Edinburgh. We stock a wide selection of Scottish architectural guides and monographs as well as titles on design and practice, appointment documents and SBCC and JCT contracts. 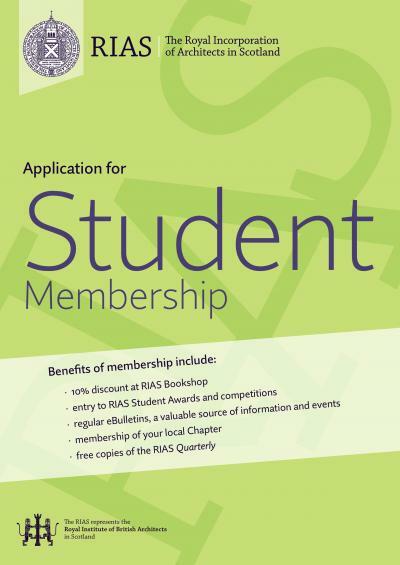 Members who subscribe to the RIAS Practice Services scheme are also entitled to credit account facilities and exclusive special offers. We also offer a mail order service and you can order online. If you are a Principal or a Director your practice is entitled to a free basic entry in the RIAS Online Directory. You may also opt to extend this to a larger entry for an additional charge. These details are also used for our Client Advisory Service. Members may place adverts for vacancies on the RIAS website. This service is currently free of charge. The RIAS provides an informal dispute resolution service on behalf of members whose clients have concerns about architects' services. The RIAS is happy to discuss problems and offer assistance and advice whenever possible. The aim is to help resolve difficult situations without the involvement of third parties. The RIAS also maintains a list of arbiters and adjudicators. The RIAS operates a Client Advisory Service, free of charge, to the public. Potential clients are offered a selection of practices in their area, sourced from the RIAS Online Directory. Everyone who enquires is sent guidance on working with an architect. Employment law advice is available to our individual members. Our HR legal advisor offers an initial consultation. 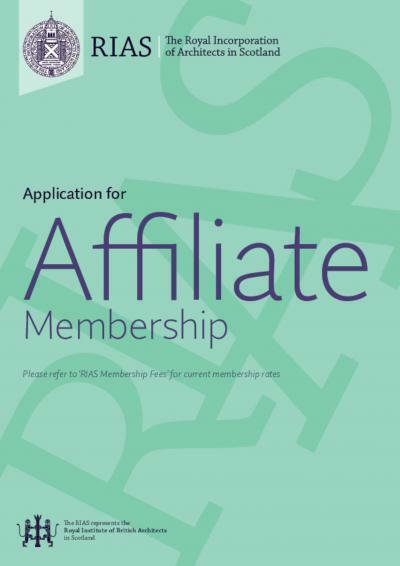 Members of the RIAS can join RIAS Practice Services, a subscription-based service which provides invaluable support on all aspects of practice including advice notes on legal and contractual matters and general information on publications and events of interest. RIAS Insurance Services aims to deliver competitive rates for Professional Indemnity Insurance for RIAS members and assists members in the selection of the most suitable cover available. raising political awareness of MSPs through the Cross Party Groups, including Architecture and the Built Environment, and by direct approaches to MPs and MSPs on matters within their remit. The Incorporation supports The Association of Scottish Schools of Architecture (ASSA) in joint endeavours to promote tertiary education in Scotland and to communicate with students at all levels. The RIAS members' room is named after the RIAS' first female President, Dr Joyce B Deans. The room on the ground floor of our HQ at 15 Rutland Square is open to members during our office hours (9am to 5pm, Monday to Friday), providing free coffee, daily newspapers, trade journals and an opportunity to meet colleagues or friends in an informal setting. Members may also make use of the meeting rooms and the Council Room at a discounted rate. 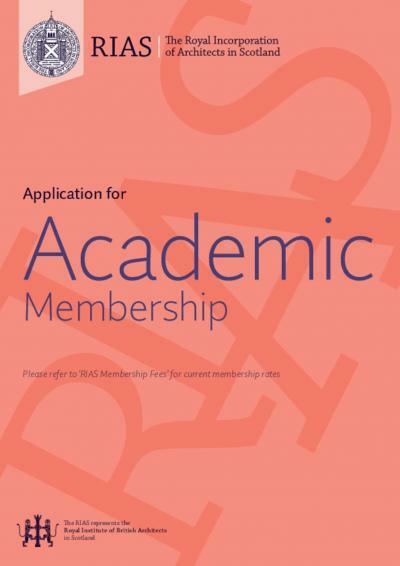 In accordance with our agreement with the RIBA, RIAS membership is open to those who currently reside or work in Scotland or who have trained or worked in Scotland. 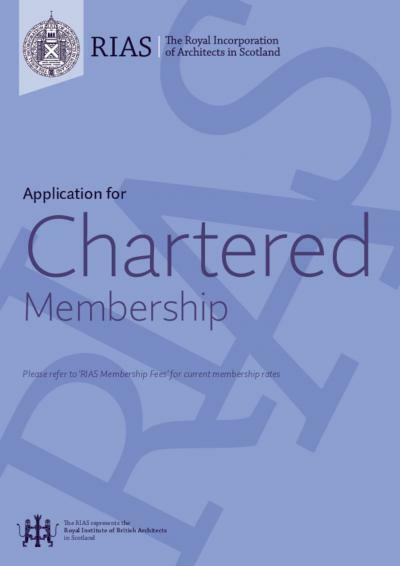 All architects wishing to join the Chartered class of RIAS membership must be currently registered with the Architects Registration Board. Free to all architectural graduates (working towards Part III). Those outside Scotland can subscribe for £10 per year. Both the RIAS and RIBA run their subscription year from January to December. You can download information on the Subscription Fees, along with a Direct Debit Mandate form and an Application for Reduced Subscription Fees for Members who are unemployed, have a low income, are on a career break or maternity leave. 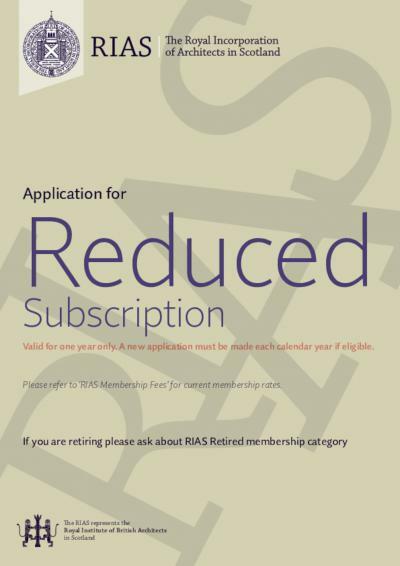 The reduced rate also covers joint RIAS/RIBA memberships. 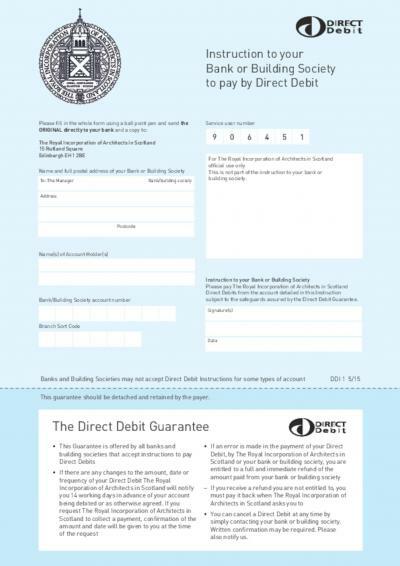 Please note: RIAS run Direct Debits from January until October.